I’m back from Korea and just now getting over being jetlagged. I’m finally back in the mood to cook! 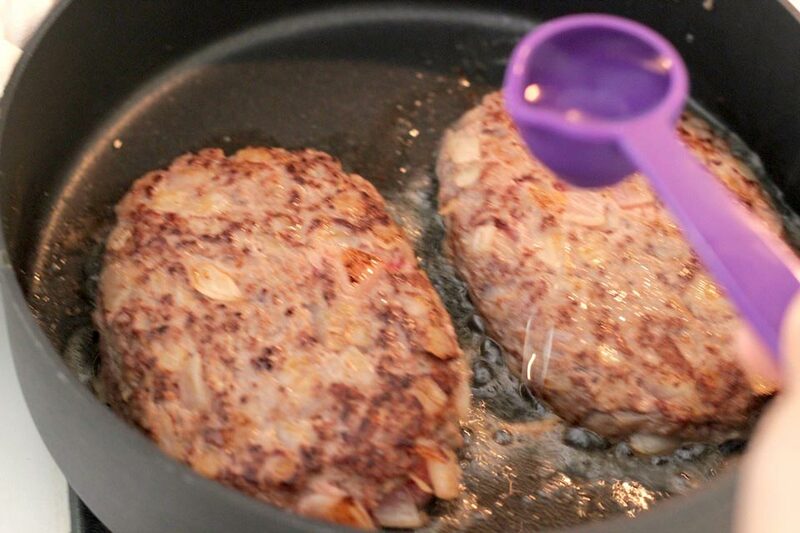 I’ve been craving Japanese Hamburg Steak for a little over a month so I decided to post this recipe. 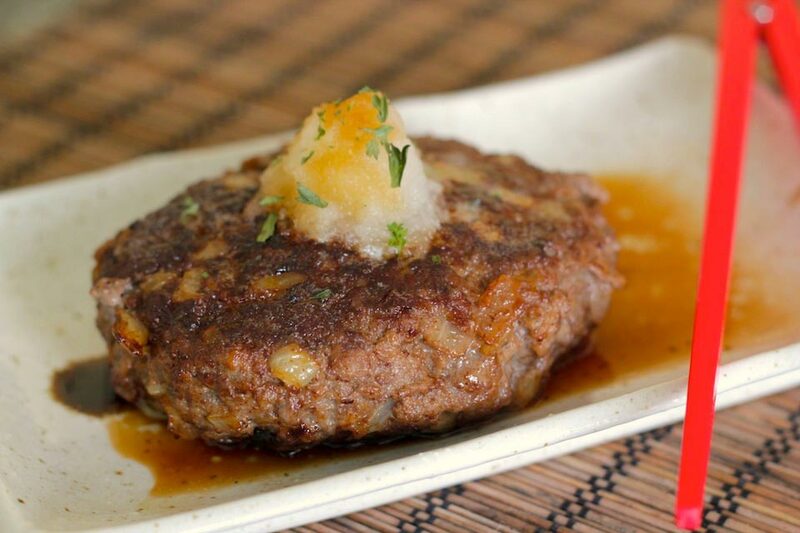 Japanese Hamburg Steak is my favorite yoshoku. I first got hooked on this while visiting Japan. The hambagu that I liked the best was always juicy with a light sauce. After experimenting with lots of different sauces, I found that a lighter sauce is better. It doesn’t overpower the Hamburg Steak. 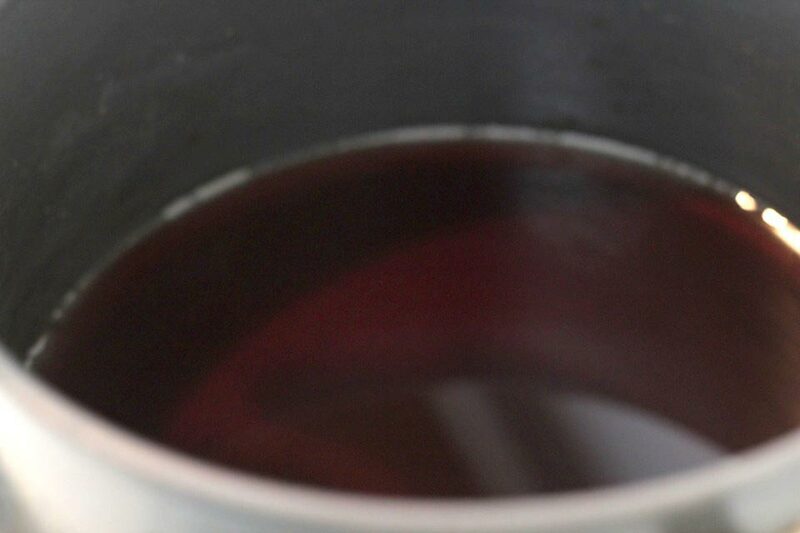 My sauce is a light teriyaki/dashi broth sauce and it’s meant to be thin. It’s not the thick demi-glaced style sauce served in most restaurants. Oh! 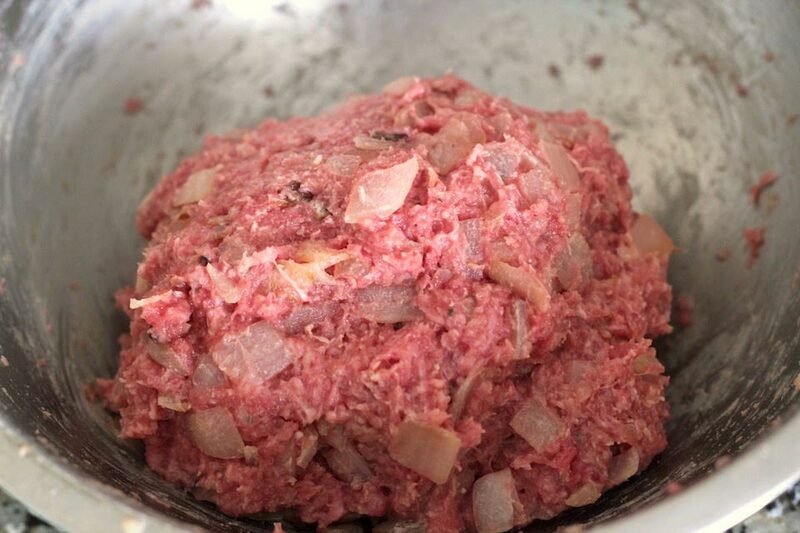 and some people like to mix in ground pork when making a hambagu, but I prefer using 100% beef ground chuck (front shoulder meat). 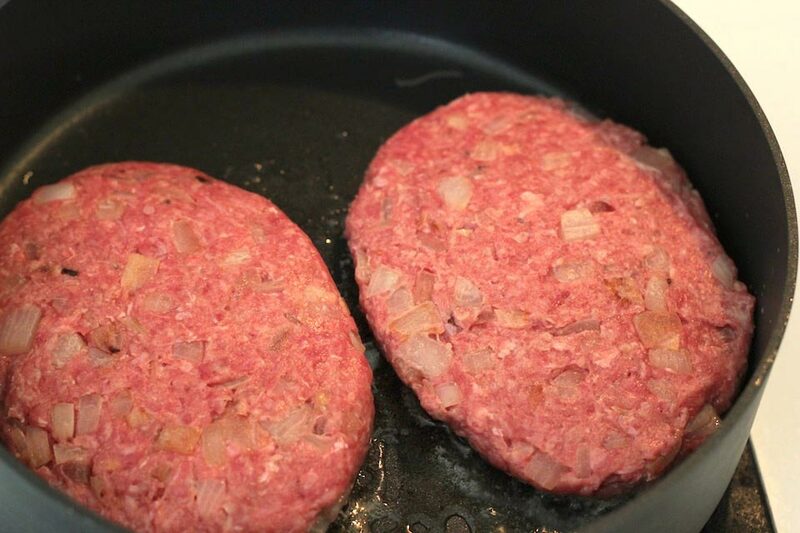 In my opinion, ground chuck has a better flavor and great for making hamburger style patties. 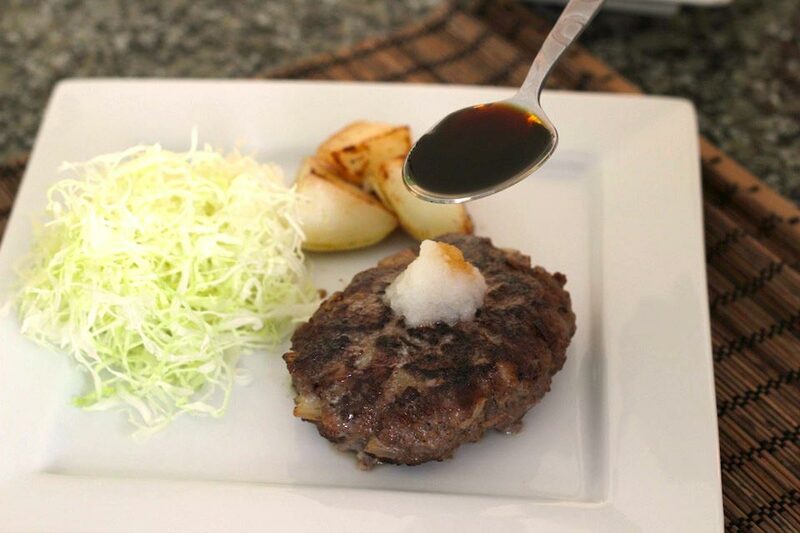 Japanese Hamburg Steaks are not only popular with adults, but also popular with children and their bentos! Serve with rice, potatoes, and other vegetables. 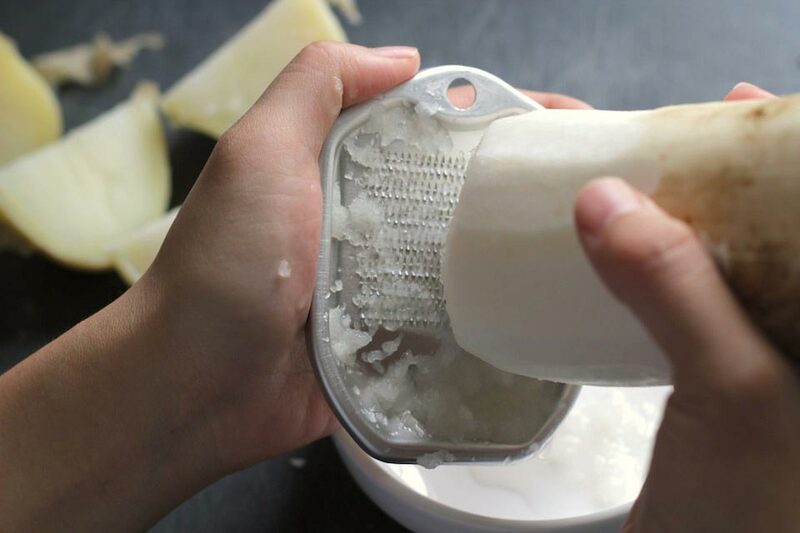 You can leave the grated daikon out if you don’t like it. If you want to try the toyko hambagu, add a fried egg, sunny-side up. Finely chop the onions. Heat a large pan over medium heat. Add 1 tablespoon butter and let it melt. 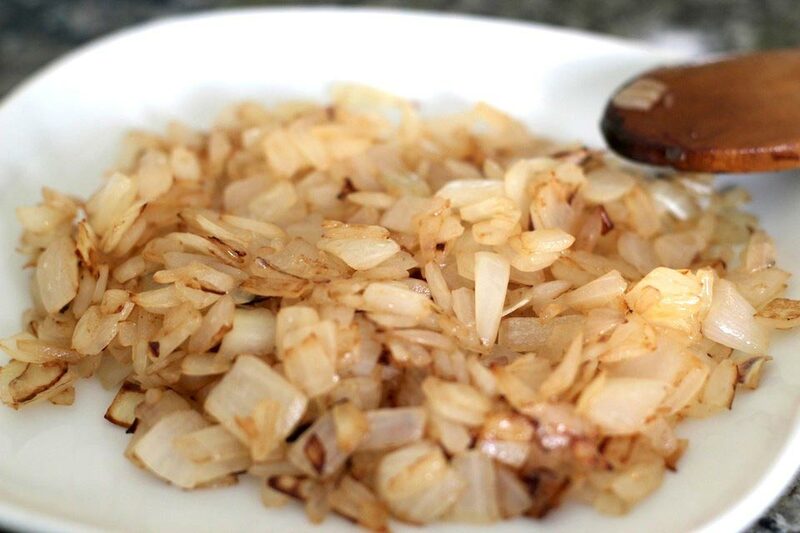 Add the finely chopped onion and let it brown lightly (about 8 minutes). Constantly stir so it doesn’t burn. 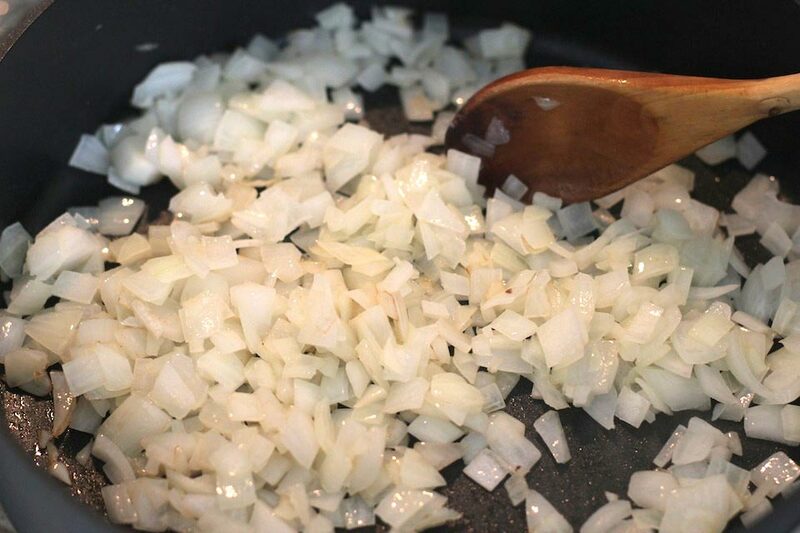 When the onion is light brown, remove from heat and let it cool down. 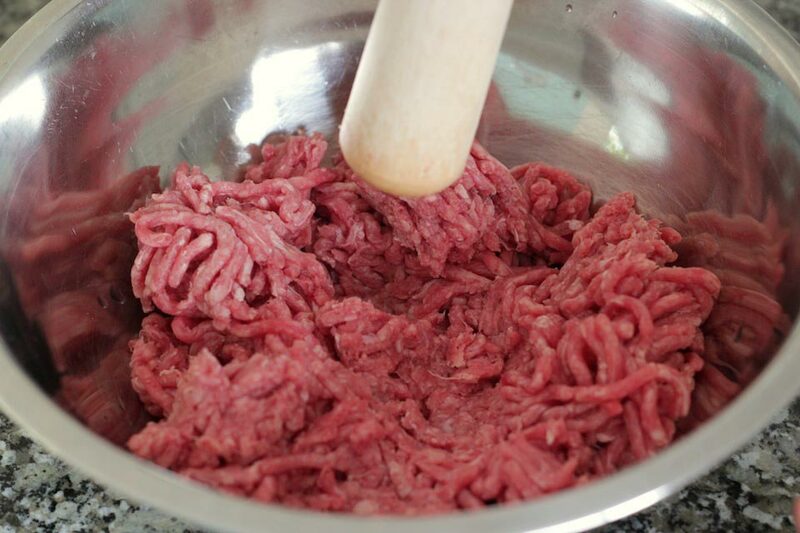 In a large mixing bowl, add the ground chuck and 1 tablespoon sake (Japanese rice wine) and mash the beef until smooth. 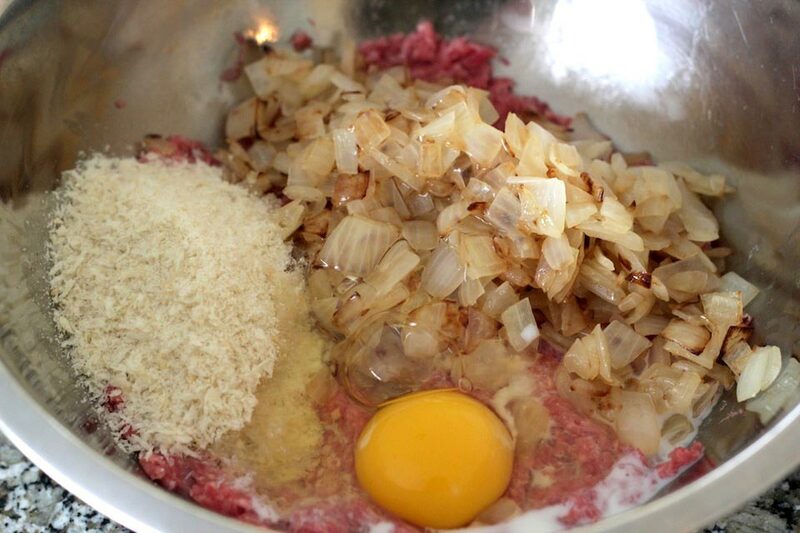 Now add the cooled onion, milk, egg, and panko bread crumbs. Lightly season with salt and pepper and mix well. 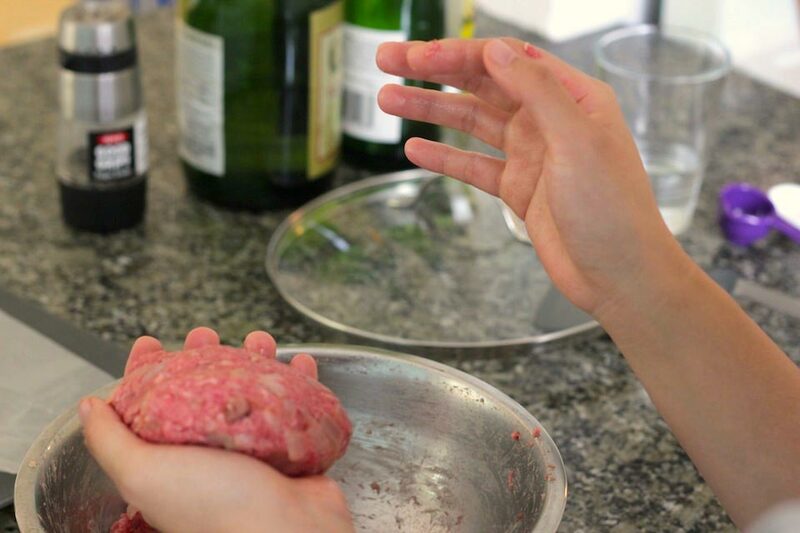 Divide the mixture into 2 large oval patties and remove the air in each by tossing from one hand to another. It should make a slapping sound. 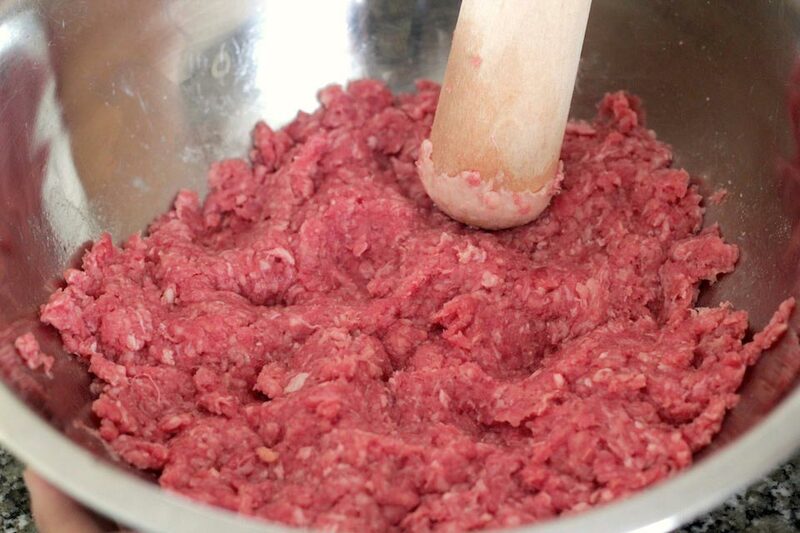 This process will help the hamburg steak from breaking into pieces while cooking. 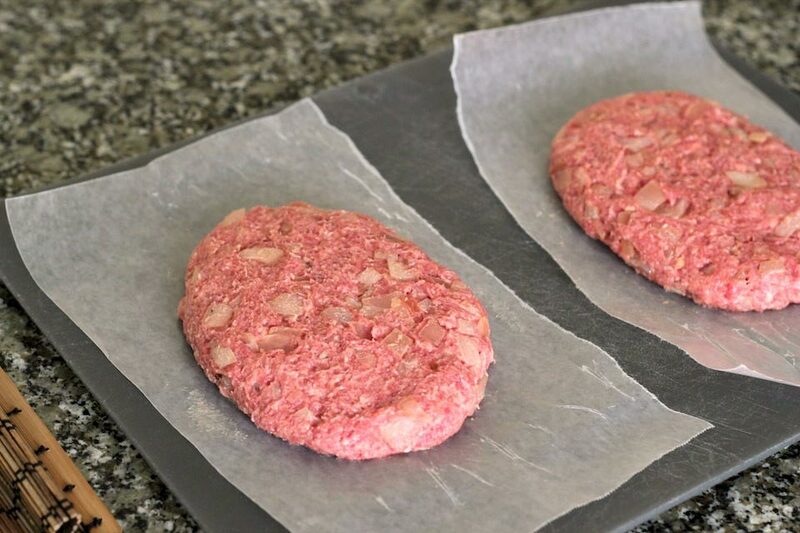 Now lightly flatten the patties. They will fatten back up while cooking. Heat a large sauté pan on high and add oil. Brown one side of the patty and flip. Then add 2 tablespoon water and cover. Reduce to med-low heat and cook for 8 minutes. 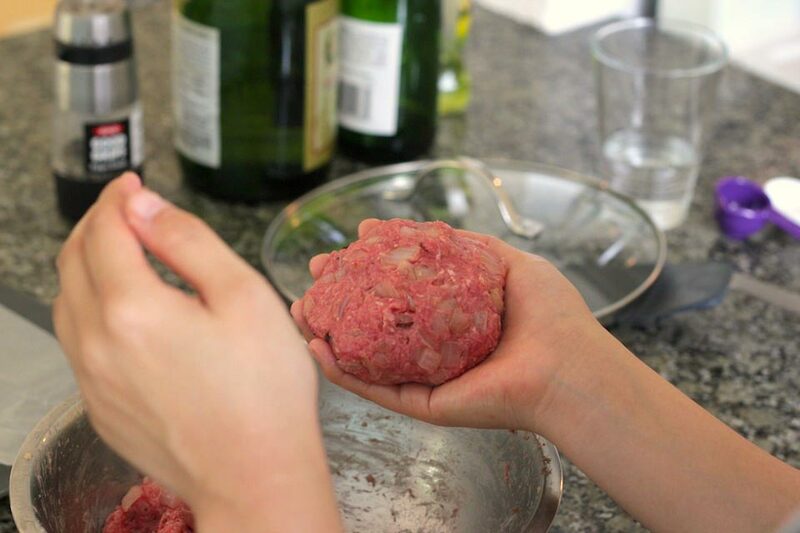 While the patties are cooking, make the sauce by combining water, sugar, mirin, soy sauce, and granulated dashi in a pot. 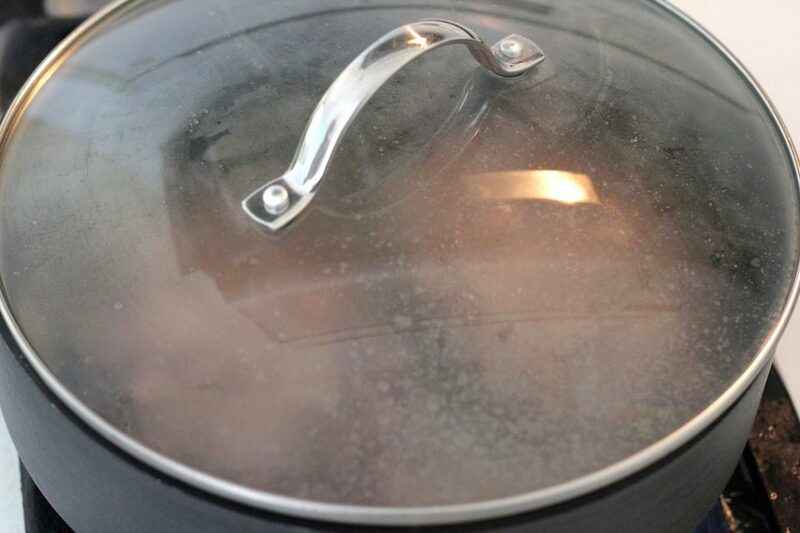 Bring to a boil and let it boil for about 15 to 30 seconds then turn off the heat. The sauce should be light and watery (not thick). When the patties are done cooking, flip once more. 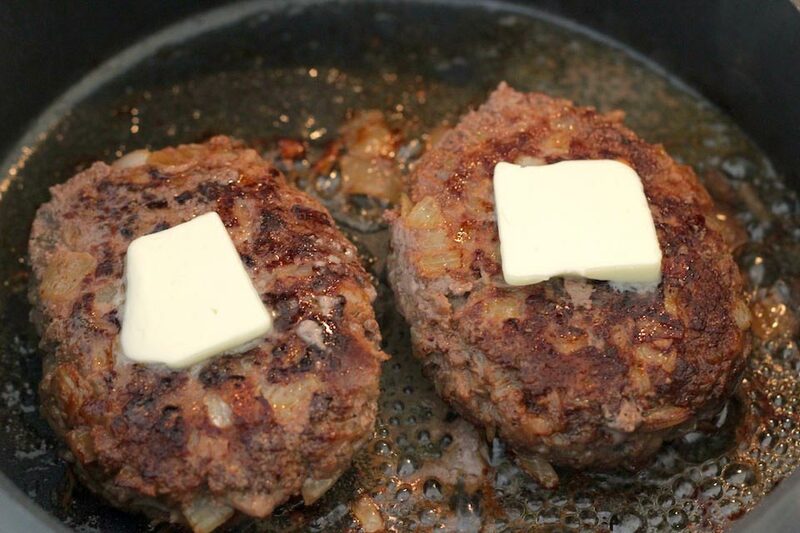 Now, add a little bit of butter over the tops of each patty. Top with grated daikon and lightly pour the sauce with a spoon (about 2 to 3 spoonfuls). Serve with potatoes and other vegetables or shredded cabbage and rice.